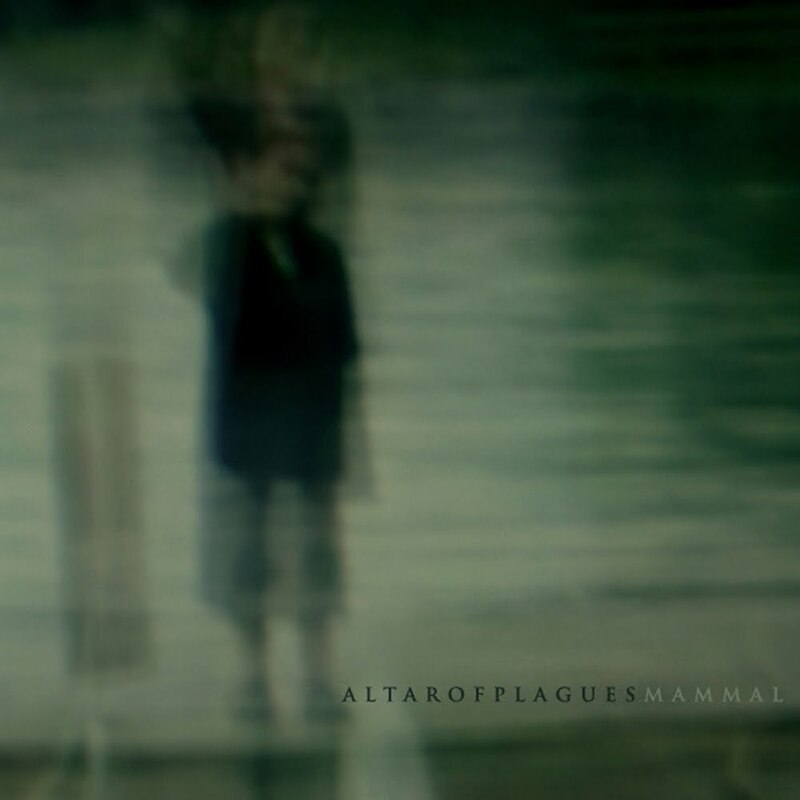 Altar of Plagues – Mammal (Candlelight Records) | "I Prefer Their Old Stuff"
Yesterday I’m talking about melodic electro pop, today I’m going to be evangelising about atmospheric black metal, say one thing for my blog, variety is the spice of life! 2011 has been spectacular for new music so far, but for me it has decidedly lacked anything of a heavier nature, in fact the only one that’s got near to interesting me has been Grayceon’s “All That We Destroy” and I haven’t really managed to get my head around that confusing album yet. Until last night when I was reading the boards on Drowned in Sound and somebody mentioned this album as one of their best of 2011 so far. Had they just mentioned the name I would have skipped right past as they are not a band I had heard of, but the accompanying description of “imagine a black metal version of ‘Oceanic’ by Isis” was enough to perk my head up and as luck would have it it is on Spotify so I immediately stuck the headphones on and dived in! Wow, to say I wasn’t disappointed is understating the fact more than a tad! Altar of Plagues hail from Cork in Ireland but they’ve made an album as bleak and dark as anything those Nordic chaps can produce with all their snow, corpse paint and church burning! In a similarity to Wolves in the Throne Room the album consists of just four long tracks, the shortest of which, “When the Sun Drowns in the Ocean”, at ‘just’ eight minutes is actually more of an ambient passage including an old recording of a woman “keening”, an old Irish funerary custom, a lament usually sang by an elderly woman over the corpse of the deceased. The remaining three pieces (as each are between 11 and 19 minutes long it feels wrong to call them songs!) are a mixture of slow but heavy post-metal refrains not unlike Isis interspersed with passages of blistering blast beats and black metal screaming, with Agalloch’s more post-rock moments thrown in for good measure. Vocally they are like a collision between the roar of Isis’s Aaron Turner and the screaming wails of WITTR’s Nathan Weaver. I am now on the second listen of the morning, I can’t seem to get enough, even though the album is fifty minutes long it always seems to end too soon and leaves me wanting more! If this is the only decent heavy release of the year (I hope it’s not obviously) then I won’t feel too disheartened! I will have to try and track down their debut “White Tomb” from 2009. The below videos are a short teaser for the album and an audio only video of opening track “Neptune is Dead”. This entry was posted on June 11, 2011, 12:22 pm and is filed under Music Reviews. You can follow any responses to this entry through RSS 2.0. You can leave a response, or trackback from your own site.